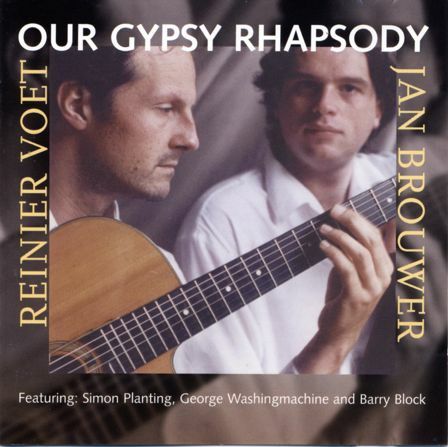 Our Gypsy Rhapsody, Reinier and Jan’s debut album. With Simon Planting on bass. Panting at time was one of the biussiest bassplayers in Holland: touring with Mathilde Santing and backing up Fapy Lafertin, the master of the old school Django guitar. Violinist and singer George Washingmachine appears on 4 tracks Barry Block plays clarinet on the closing tune, inspired by the orchestra of Gus Arnheim.